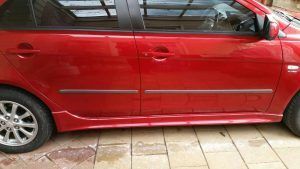 When searching for a cosmetic car repair specialist look no further than SMART Paintworx for scratch repairs western suburbs. Not only do we travel to all inner metro suburbs of Adelaide we also have a workshop in Pt Adelaide making your choice of repairer that little simpler. Scratch repairs western suburbs is just one of our services. Our team of friendly technicians can also assist with bumper bar repairs whether they be scratched, dented or even cracked. Many people are choosing to avoid claiming on insurance when it comes to these small repairs. Generally the average excess is $400 with most insurers and with only one panel scratched the outlay for scratch repairs western suburbs using SMART Paintworx would fall well short of this amount. If you are tidying up your car for sale, end of lease or just to keep it looking as good as new we have the best solution at the right price. We are able to keep the area of repair small while still blending it for that undetectable repair that we all want. We are happy to leave the large jobs to the Crash Shops but for the smaller repairs there is no need to paint full panels and the mobile repair option just might be perfect for you. 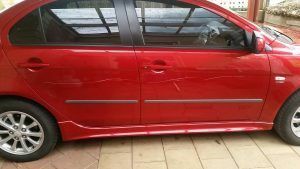 This entry was posted in Scratch Repairs Western Suburbs and tagged scratch repairs western suburbs. Bookmark the permalink.